With roughly 250 million cars and light trucks on our nation’s roadways, roadside automobile accidents are a familiar sight for most motorists. It’s rare to cruise down a busy highway without seeing the tell-tale flashing lights of emergency vehicles at the site of a car crash. Makeshift memorials for victims of fatal automobile accidents dot overpasses and crosswalks, and billboards along the highways remind drivers of the costs of drunk and distracted driving. Unfortunately, no matter how carefully you drive, or how many technological advances have been made in driver safety, one simple fact remains- if you regularly drive an automobile in the United States, it’s likely that you or someone close to you will be involved in an automobile accident during your lifetime. Sadly, many of those accidents will leave the involved parties with lasting disabilities. A significant number will prove fatal. Unfortunately, after years of declining numbers of automobile accidents, 2012 was the first year in recent history when the number of car accidents rose. According to the National Highway Transportation Safety Administration, in 2012, the number of people injured in automobile accidents experienced its first statistically significant increase since 1995. There are roughly 6 million automobile accidents per year in the United States, averaging one accident every 10 to 15 seconds. Approximately 3 million people are injured in automobile accidents every year. Approximately 2 million people who are injured in automobile accidents sustain permanent disabilities. Approximately 40,000 people die every year as a result of automobile accidents. Automobile accidents are the leading cause of death for individuals between the ages of 5 and 34 years (CDC). Statistics suggest that 1 out of every 4 drivers will be involved in a car accident over a five year period. The rise in traffic accidents is unwelcome news for motorists on many levels. Car accidents are an obvious financial burden for both individuals and families. According to AAA, roadside accidents cost drivers a staggering $299.5 billion dollars a year, or $1,522 dollars per person per year. But as anyone who has been involved in an automobile accident can attest, the financial costs of car accidents pale in comparison to the physical and psychological trauma these accidents often leave in their wake. What Causes Emotional and Psychological Trauma? Research suggests that lasting emotional and psychological trauma can result from stressful events we experience in our lives, including car accidents. Although these events do not necessarily involve physical harm or injury, they are typically associated with unexpected, stressful events that are outside of our control. Many unexpected, stressful event that causes someone to feel a loss of control can cause psychological trauma. These events can include job losses, being diagnosed with a life-threatening or disabling condition, the death of a spouse, loss of a significant relationship or being the victim of a crime. But, not everyone who experiences a stressful or traumatic event goes on to develop symptoms of emotional or psychological trauma. Psychological and emotional trauma develops when an individual who experiences a stressful or traumatic event feels overwhelmed, alone and unable to cope in the aftermath of the event. They then struggle with the requirements of normal, everyday life, and find themselves unable to process the stress of the traumatic event on their own. Often, individuals who suffer psychological and emotional trauma after stressful, unexpected events experience debilitating symptoms of fear, helplessness, panic, disconnection or depression that leave them unable to work and enjoy their lives and personal relationships to the fullest. Those individuals can recover, but they need support, guidance and often professional help. Experts agree that being involved in an automobile accident, regardless of the severity of the accident, can lead to lasting emotional trauma that detracts from an individual’s ability to function optimally in work, school and at home. Researchers note that significant emotional trauma can take place, even if the automobile accident did not cause lasting physical damage. How can this occur? If an automobile accident was “minor”, or didn’t cause any permanent or lasting injury, how can it cause lasting emotional trauma? Car accidents can lead to emotional and psychological trauma, regardless of their severity, because it is the individual’s experience of an automobile accident that causes them to feel traumatized, not simply the severity of the crash itself. The person was unprepared for the trauma. There was nothing the person could do to prevent the trauma from happening. 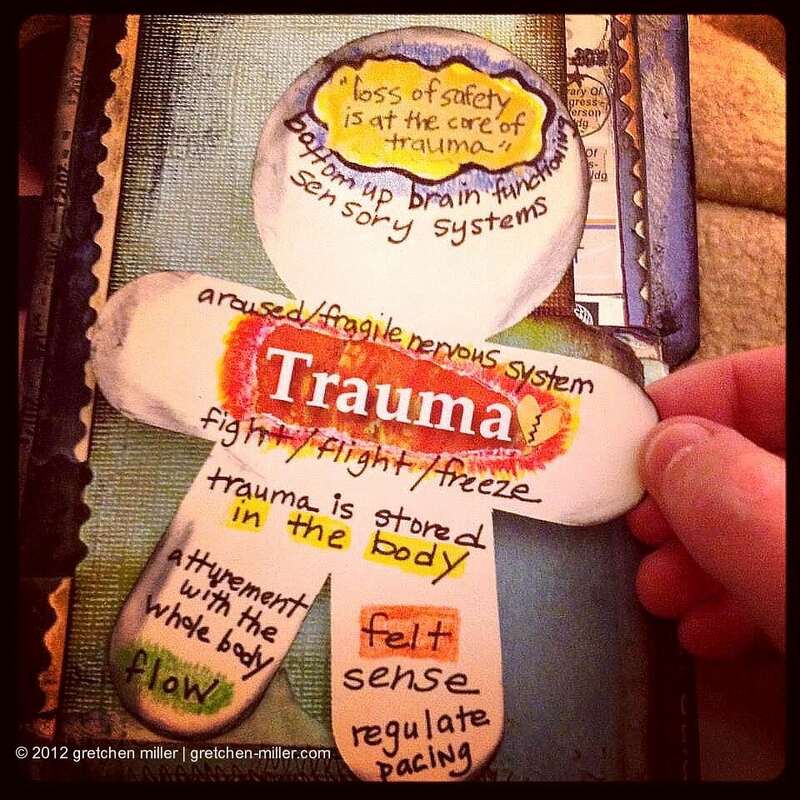 An individual’s experience of an event is (generally) what determines the level of trauma that they ultimately experience (the experience of trauma includes a complex interplay of factors, which may include the severity of the accident, prior experiences with accidents, psychological history, social support systems, etc). So, what one person experiences as stressful and frightening, another person may experience as completely benign. For example, if an individual is involved in an automobile accident, their brain will respond to the accident in a unique way, based on their individual makeup. There is no way to predict exactly how one person will respond to an accident, or whether they will develop symptoms of psychological trauma. The wide variety of emotional responses to automobile accidents occurs because individuals react very differently to stress, injury and trauma. These reactions are based on a complex interplay of factors, which include their personality, psychological history, and overall health. Researchers are making great strides in understanding why some people have strong emotional reactions to stressful events such as car accidents. In the past, researchers were limited to studying the brains of accident victims after they had passed away. With the advent of new, high tech brain scans, researchers can now “see” how brains react to unexpected, stressful stimuli, such as car accidents. Brain scans have revealed that the stress of being in a traumatic situation, such as a car accident, can literally change the structure and function of the brain. Brain researchers suggest that the brain can be divided into three areas: The cortex (outer surface of the brain), where our higher thinking skills take place; the center of the brain (the limbic system), where our emotions take place; and the brain stem (also called the reptilian brain), which controls basic survival functions. Brain scans show that traumatic situations affect the frontal cortex (where the emotional part of the brain and the higher, thinking part of the brain “meet”). Researchers believe this pattern of functioning (affecting the frontal cortex) after a traumatic event appears in individuals with PTSD. Symptoms of emotional and psychological trauma after a car accident may present themselves immediately after an automobile accident. Or, they may not show up for several weeks or months after an accident. This is highly individual. Your symptoms and emotional reactions to a car accident are a normal, natural part of healing. However, there are signs that emotional and psychological symptoms are becoming overwhelming, and you may need help dealing with those symptoms in order to truly recover from your trauma. If you are experiencing difficulty with any of the following symptoms, it may be time to consult a qualified, licensed medical or mental health professional who can assess your mental health and help you regain a sense of safety, stability and emotional well-being. Feelings of guilt and shame for having survived an accident. Social withdrawal, feelings of sadness, depression, lack of interest in activities you formerly enjoyed. If you or someone you care about has been involved in an automobile accident and is showing persistent signs of psychological trauma, it’s important to seek professional help. If your psychological symptoms are getting worse rather than better, please, don’t dismiss your feelings. No matter what others may suggest, “burying” your feelings will not make them go away, and you are not abnormal for feeling the way you do. If you are struggling with your emotions after a car accident, seek professional help so that you can return to the life you enjoyed prior to your accident. If your symptoms are interfering with your interpersonal relationships, ability to work, go to school or you are having difficulty doing things that remind you of the accident (driving, going past the accident scene, etc), you can find a qualified therapist, mental health professional or medical professional who understands emotional trauma after car accidents. Together, you will be able to create an effective treatment plan tailored to your symptoms and personality. There is help and hope for those suffering from emotional trauma after a car accident. But before you can feel better, you must take that all important first step and reach out for support. As you heal, remember to be patient and kind to yourself, and know as you head down the path to recovery that you are not alone and there are brighter days ahead. If you have been injured in an automobile accident and are experiencing symptoms of emotional and psychological trauma, you deserve to be compensated for your injuries. Let the experienced Maine personal injury attorneys at Hardy, Wolf and Downing assess your personal injury car accident case, free of charge. We understand the physical, financial and emotional ramifications of automobile accidents in Maine, and we work to get every one of our Portland and Lewiston car accident victims the just and fair compensation they deserve. We are an experienced personal injury law firm who knows how to fight for your rights after you have been injured in a car accident. We’ve worked for clients across the state of Maine, and helped them fight for their rights when they have been injured in an automobile accident. So, if you or someone you love is struggling emotionally, psychologically or physically after a car accident, know that our car accident attorneys understand. Don’t make the mistake of fighting insurance companies on your own. Let the experienced Maine personal injury team of Hardy, Wolf and Downing fight for you. We provide our blog as a service to our clients, and they are meant to be purely informational. If you or a loved one has been in an accident and would like a free consultation with a personal injury attorney, please call our firm today at 1-800-INJURED to start understanding your legal rights.